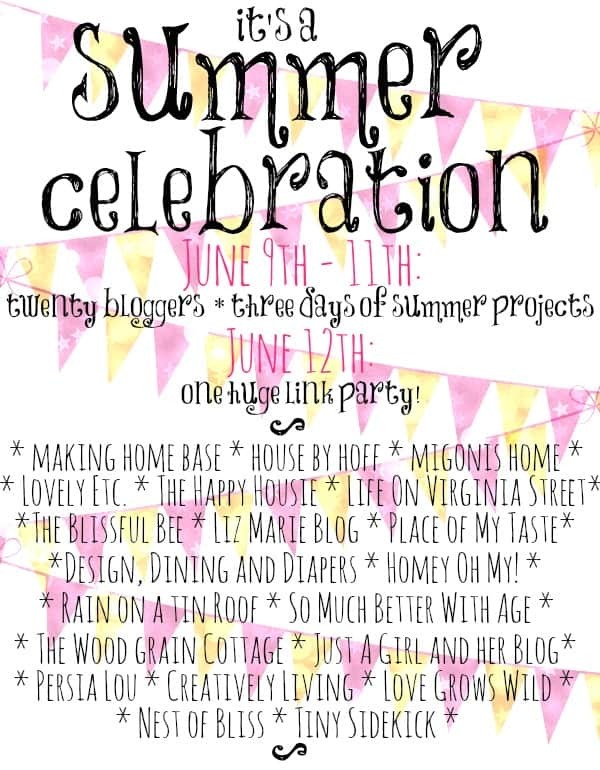 I am so excited to be a part of this great summer celebration series hosted by my dear friends, Chelsea from Making Home Base and April from House by Hoff.When they have invited me to join this series I already knew that there is going to be lots of summer projects to share here on Place Of My Taste. 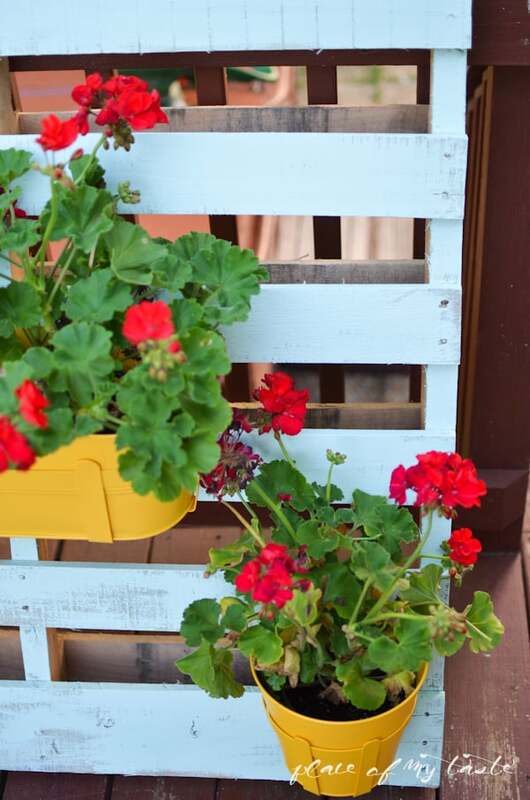 I am kicking off summer with this pretty PALLET FLOWER POT HANGER. At the end of this post you will also be invited to see 19 other bloggers amazing summer projects. The project I made was quite easy. Maybe I should say super easy and I think it turned out super pretty. 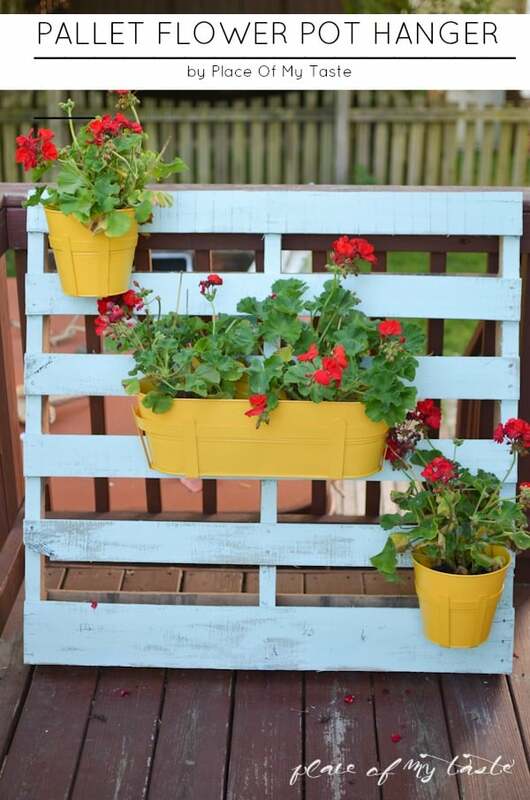 I am planning on a quick patio makeover in the next few weeks and this pallet flower hanger is part of the project I have planned. One of my favorite things to do in the summer is to sit outside on our deck and eat dinner, chat with hubby while we can enjoy watching the boys on their playground. 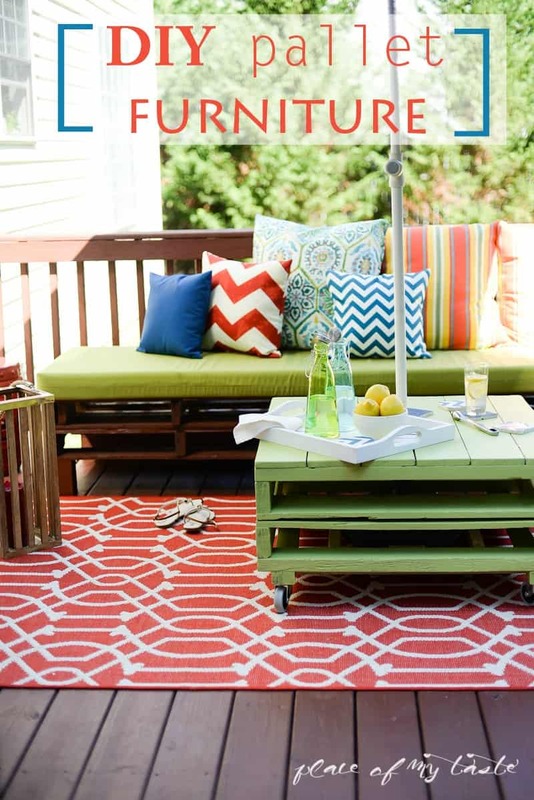 I love the deck to be pretty, colorful , fresh and cozy. Are you ready to see what I have started with? What you see below is very typical. 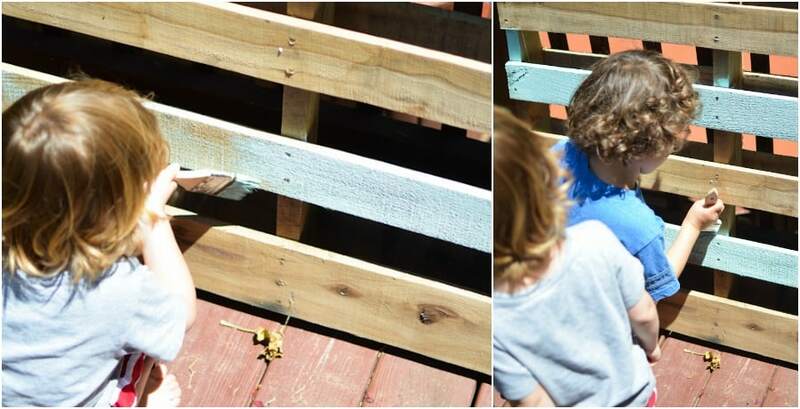 My boys usually take over the project whenever mommy starts to paint. They took my brush and started painting the pallet for me…I only needed a little touch up afterwords. 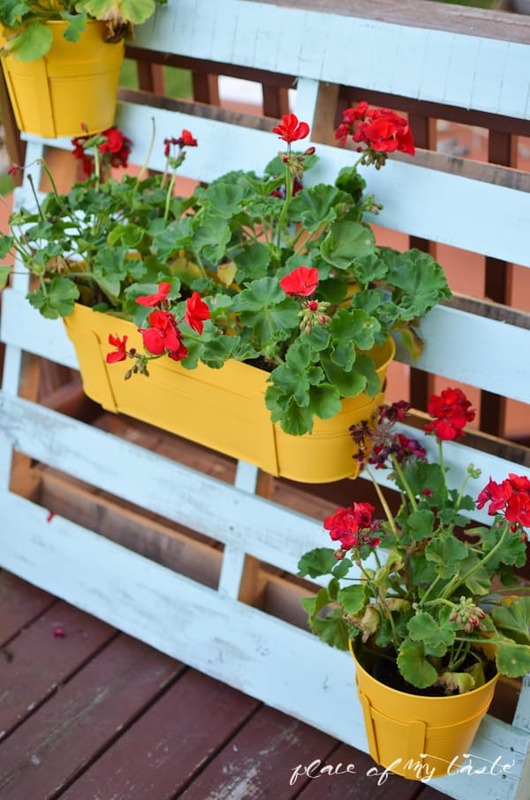 I previously purchased these very bright yellow flower boxes at IKEA and they were perfect for this pallet project. I bought a few single and a longer piece. They have a piece of hook on the back so I was able to hang them on the pallet. Little paining project can make wonders! Love it! 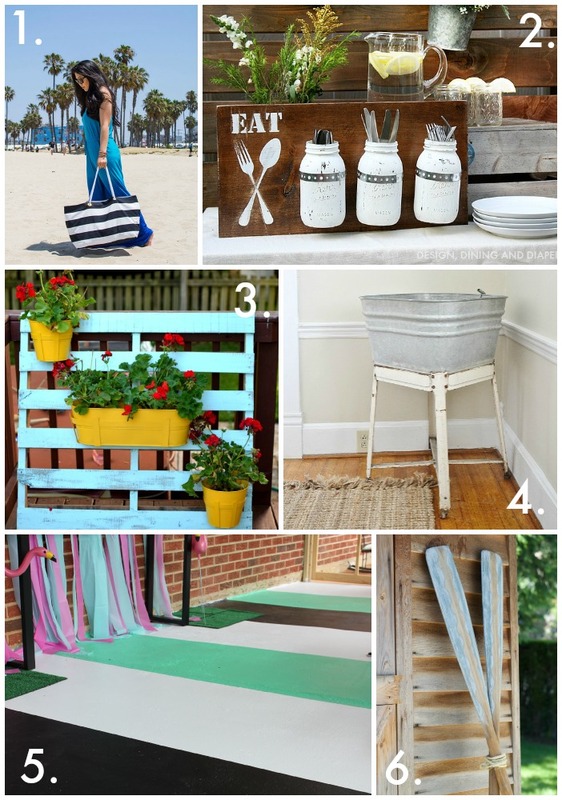 We have started this series yesterday so go ahead and check out these amazing summer inspired projects yourself! Come back on Thursday for a huge LINK PARTY to link up all your summer project for us to see and promote! Such a cute idea! My husband has tons of pallets at work so I think I might be trying this! Pinned! 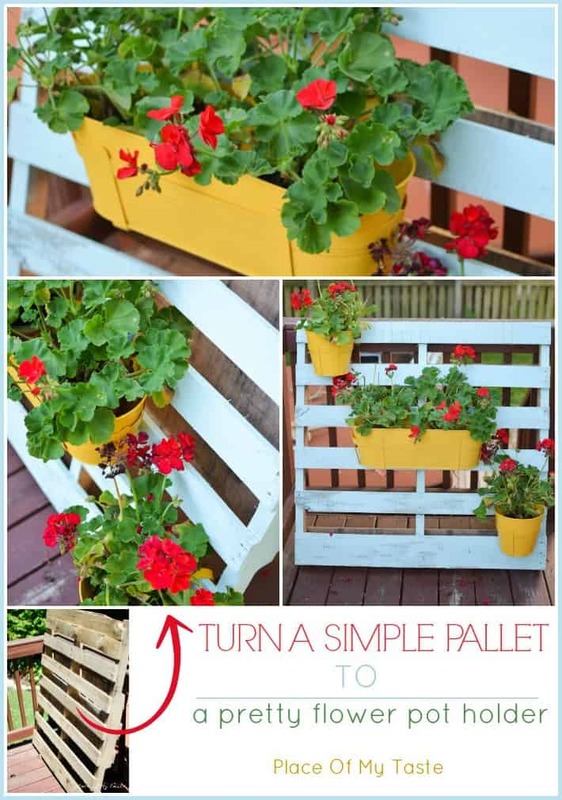 Great idea for a pallet! I love the yellow and blue together! Thanks for visiting today, Jenna! Have a lovely week! Thank you Chelsea!I am glad I am part of this great series♥! Have a wonderful week! Loving this summer series! 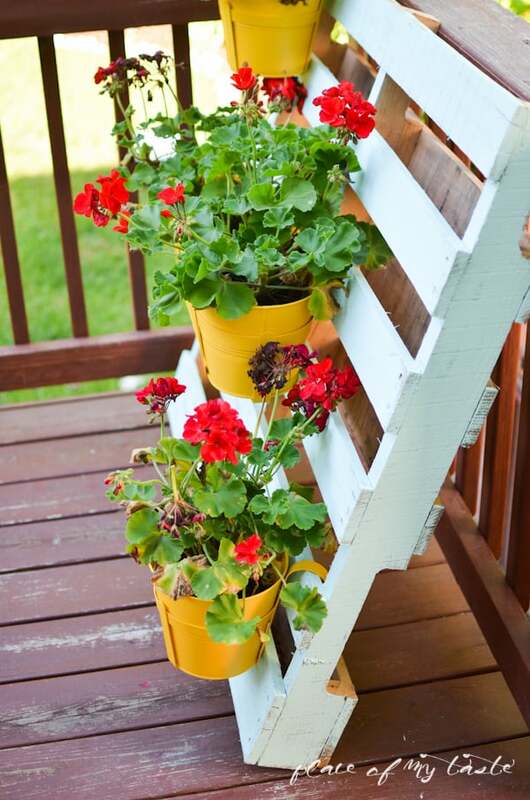 Your pallet flower pot is absolutely gorgeous. I LOVE IT! Plus, it seems easy to make. It is super fun series and there are more to come tomorrow! Have a great week Lady! So so so pretty, Aniko! All the colors go together so perfectly! Thanks lovely Lady! I am in love with the colors myself. So calming! Have a fantastic week! I just LOVE this idea! I love the colors you used too! 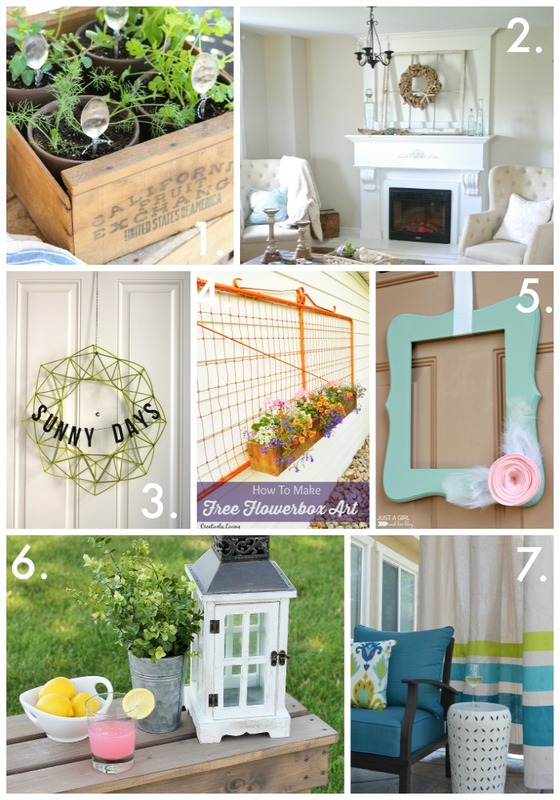 This is such a fun summer project!!! So very cool, I love this up cycling concept. Doing and pinning. Thanks Aniko. I am glad to hear you got inspired! Have fun making it:-) Have a great week! Love the blue and the yellow contrast! So summery. Amy, I love how the color combo came together!Thanks for dropping by today! What great little helpers you have! It turned out so pretty and happy, like you said. Perfect for summer! Alexis, they are always helping mommy:-) I am a lucky mamma! !Thanks for visiting today!Have a great week! What a super easy and super cute project, Aniko! I just may have to go hunting for some pallets now! I’m absolutely loving this, Aniko! SO so pretty!! This is awesome Aniko! Just like the ones in the magazines and adds so much color to your space! So much fun doing this summer celebration with you! I am totally doing this! My husband will love getting the pallets out from behind the storage building. Thanks for the idea! 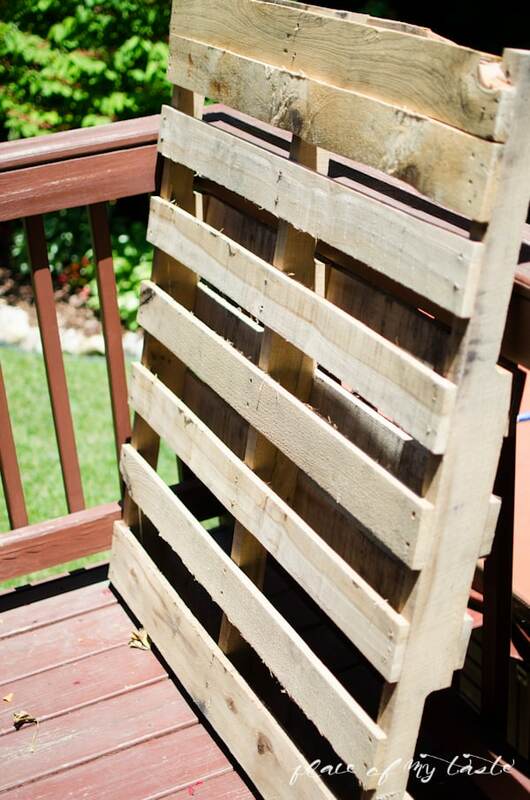 I love a good pallet project! 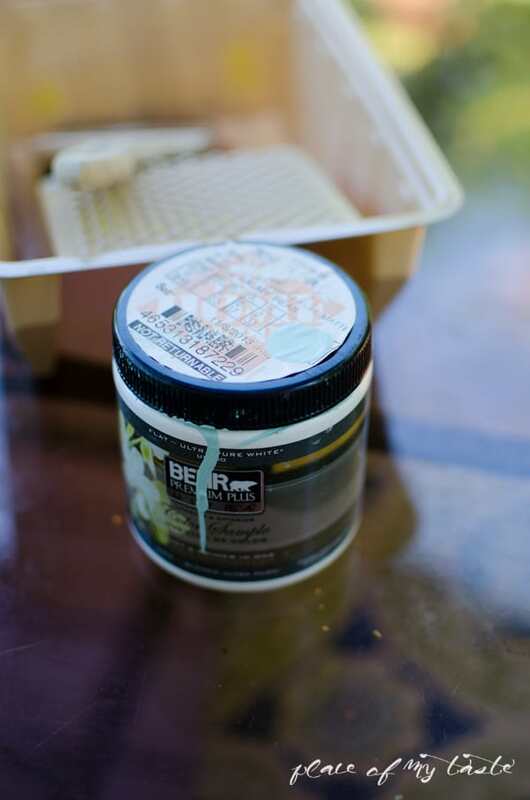 The color you used is just gorgeous, Aniko! Love, love, love – the bright yellow is adorable and the pallet is perfect!! 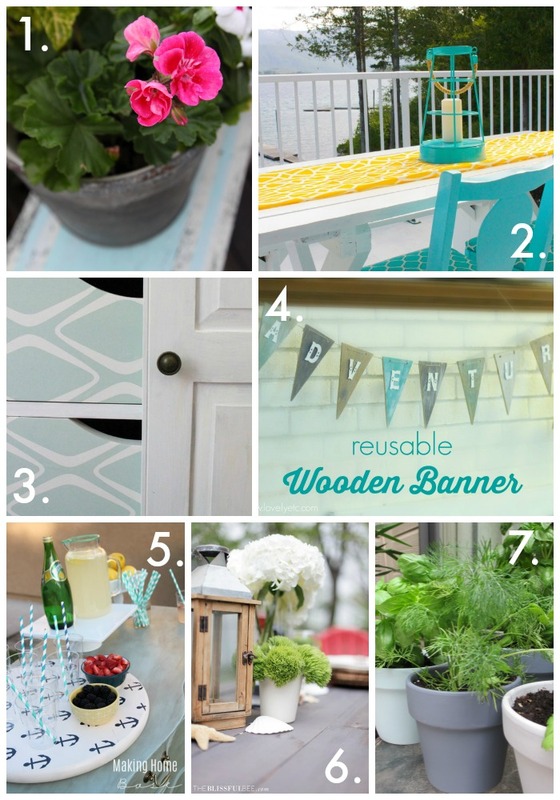 Such a great use of a pallet Aniko – pinned and shared!! Thank you for sharing, Tasha! I love it so much when my kids could help out with the projects. Cute:-) Have a wonderful week!